Theater opened in 1953. Capacity is 700 vehicles. 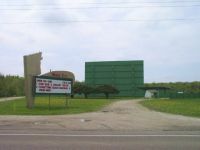 This movie theater is near Coventry Township, New Franklin, Norton, Barberton, Doylestown, Clinton, Akron, Wadsworth, Rittman, Marshallville, Canal Fulton.